As we all know, chocolate and peanut butter is the best tasting food combination known to women. 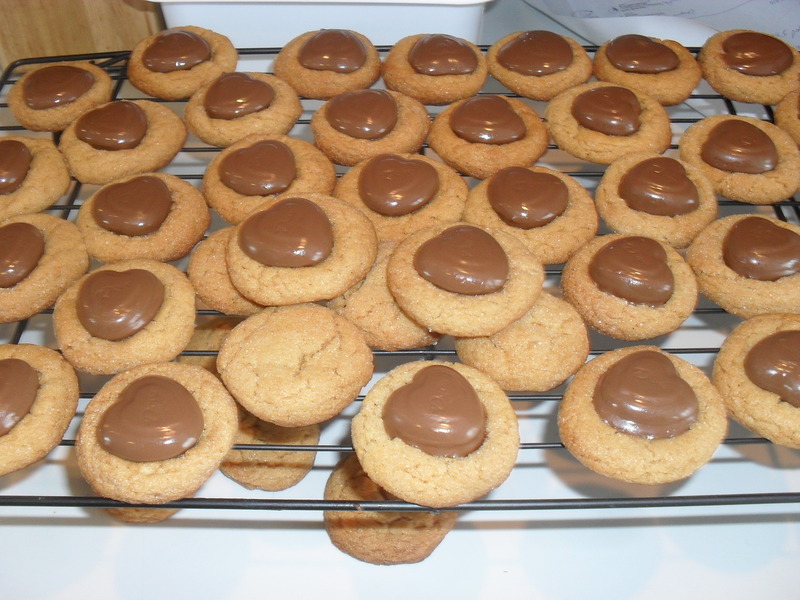 So for Valentine's Day, I made Chocolate Peanut Butter Cookies topped with heart shaped candy. This was one of the easiest and most delicious desserts I have made! I get into baking mode for any Holiday, and the simplicity of this recipe helped with the time clock. This easy recipe is perfect for any celebration. The heart shaped chocolate show love and care to whomever you make these for. They are also perfect to put in goody bags for different occasions, such as: thinking of you, get well soon, Anniversary's, Birthdays, and Just Because! With one bite, the love, care, and flavor will warm up your taste-buds showing how delicious these cookies are, making you smile from the inside out! 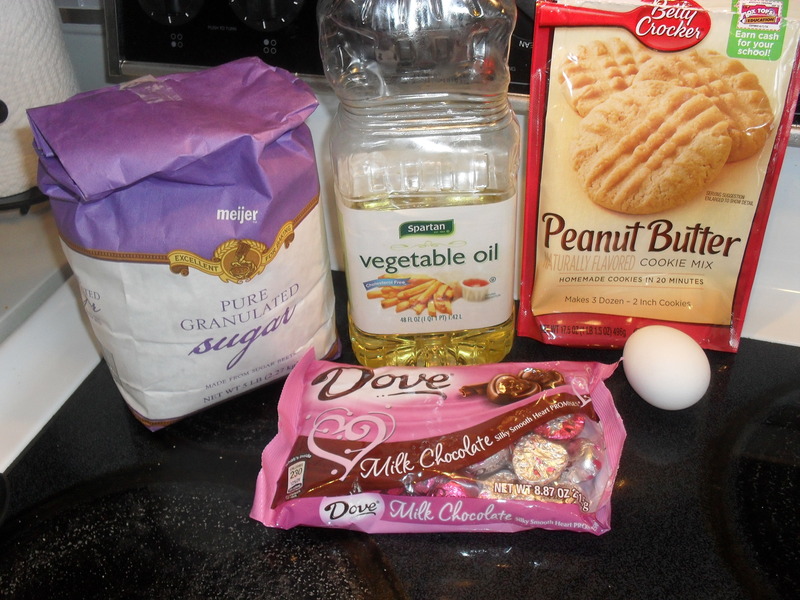 In medium bowl, stir cookie mix, oil, water and egg until dough forms. Shape dough into 36 (1-inch) balls; roll in sugar. Unwrap each candy from its wrapper (this was the most time consuming part!) Bake 8 to 10 minutes or until light golden brown. Immediately press chocolate candy into top of each cookie. Remove from cookie sheets to cooling racks. Place 2 inches apart on un-greased cookie sheets. Immediately press chocolate candy into top of each cookie. Remove from cookie sheets to cooling racks. Cool completely, before storing in tightly covered container. READ Make "Witches Hats" this weekend for a perfect no-bake treat! Search "Witches Hats" for the recipe! Previous Previous post: Doll Clothes Superstore Review: American Girl!